Jaden at Steamy Kitchen recently wrote a clever post about her so-called "ghetto photography studio." 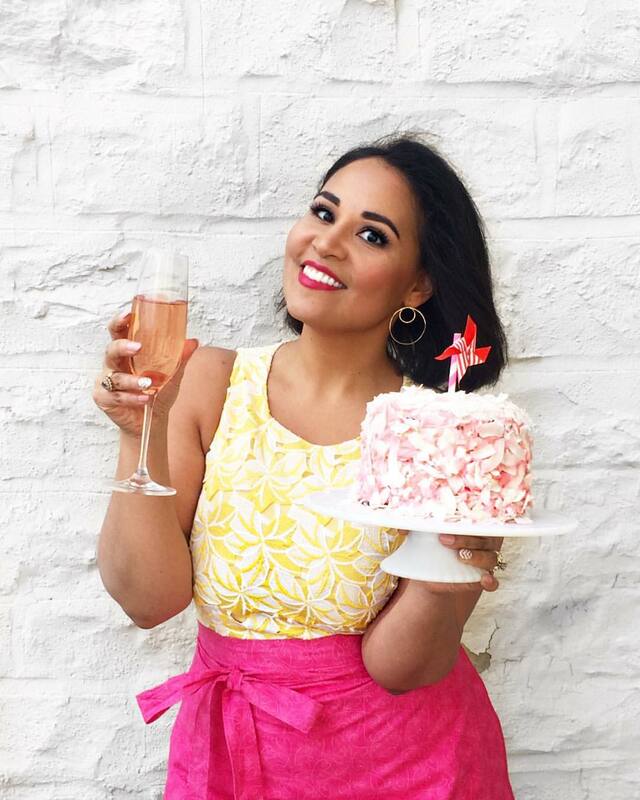 She invited the rest of us food bloggers to post photos of our own "studios" to show where our magic happens. I don't really have a studio. I usually just set up camp near the kitchen or living room window and snap away. At night I go into my library which has oddly good lighting, probably due to the bright yellow walls. I think it's a good time, however, to share with you the truth behind my mediocre food photos. That, of course, would be my camera. A Canon PowerShot SD400. This is not your average camera, mind you. Oh no, this is the most ridiculous camera ever! Seriously, it defies all the laws of nature. Basically, my camera is a zombie. It died months ago and yet continues to roam the earth (or my kitchen). 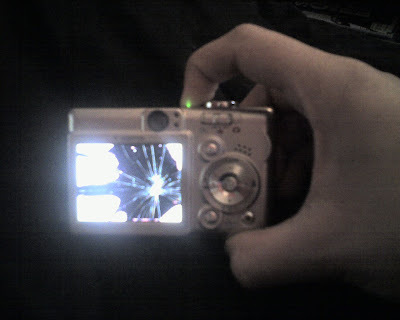 The LCD is shattered internally (that exciting explosion image is not an image--it's my screen). This happened months ago for reasons I've yet to determine. The camera was safely tucked in the case inside my purse so I'm still not quite sure how it happened. This means that not only can I not see what I'm shooting, I also can't adjust anything. So how do I take such fabulously mediocre shots with such a brokedown camera? Ahh...it's all in the wrist, my friends. I've developed a highly scientific method for shooting my food. It consists of me (food blogger & cook extraordinaire) pointing my zombie camera in the general direction of the nicely arranged plate and doing something that I like to call "randomly pressing all the buttons." I basically just push the setting buttons randomly and alternate with taking shots. Some come out with flash, some without, some are bright pink, some are blurry, some are macro, some completely miss the plate. I'll take about 40 to 60 shots for everything I make and cross my fingers that one or two will come out. A tweak or two in Photoshop and voila! Wonderfully mediocre photography for you all to enjoy! I do plan on buying another camera soon, but I don't want to get another point & shoot. I want a proper slr, but am going to have to wait until I can afford to spend a bundle on the one that I want. Until then, zombie camera it is! I so want another camera. I borrow and like my boyfriends Exlium and my photos have much improved. However he takes it out of town when he travels for work< and Im stuck with my old demonic HP pHOTOSMART.Maybe I'll start cruising Ebay. The photo part is just as addictive as the blogging. hmmm i happen to love my canon digital ixus 850is...i swear by it! check out my blog to see wat crappy pics it could take lol!